Please note, this article is intended for qualified professionals. You take full responsibility over the actions that you decide to undertake based on the suggestions from this article. Please note that Aitoc takes no responsibility for any possible damages to equipment or software, downtime or any losses. If you do not fully understand its content and what suggested changes will lead to, hire a qualified consultant or developer. Online store’s slow performance may be a critical factor in your customer’s buying decision. Manifold studies, experience and just common sense can definitely prove it. Research from Google and Microsoft shows that slower websites has lower conversion. 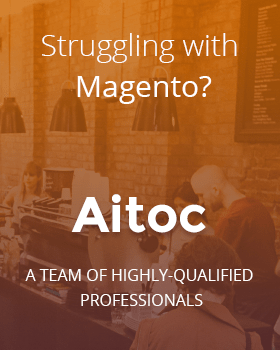 As we’ve already brought up the issue of Magento slow performance and stated the importance of server settings and hosting environment, this article will give you some useful tips by Aitoc’s team on how to adjust server configurations to your Magento on your own or you can order our Server Setting Optimization Service and/or Magento Server Migration service. If you already have a store running on the server that is not optimized for Magento and cannot change your hosting provider due to any reasons consider the below tune up instructions and how they can increase your site performance by making a few changes to the server’s settings and installing some additional software like APC. If you are not technically savvy enough consider hiring a qualified professional that will guide you through this process. Debian Squeeze (6.0.6) OS was used for all tests performed in this article. Instructions are also given for Debian Squeeze OS. Please note that instructions and results may slightly differ for other Linux distributions. To test Magento performance we installed Community Edition 1.7.0.2 with 10000 simple products. First test was performed on a standard hosting configuration (LAMP). All the settings were default, except for php. PHP memory_limit was 256M.Stress testing was performed by Siege 2.70 with 20 simultaneous users to measure product page and catalog page load time. Server response time ranged from 6.2 to 10.89 seconds. Average time was 7.71. Now let’s make some simple server configuration optimizations that will ensure better use of your server resources. • First, replace Apache + mod_php with Nginx + php fastcgi. • Then add Nginx to autostart and run it. • Create init script to start PHP in fastcgi mode (/etc/init.d/php5-fcgi). • Add the script /etc/init.d/php5-fcgi to autorun and run it. • Let’s proceed with Nginx settings and create a Magento store site configuration (/etc/nginx/sites-available/magento-site-name). • Now enable Magento site configuration and restart Nginx. • Install MySQL server and MySQL client. • After installing the SQL server restrict remote database access to the root user, as well as anonymous login and test database. To perform these actions please use script mysql_secure_installation. Read all the messages generated by the script and choose the appropriate options. Keep in mind that only professional DBA can configure all MySQL server settings.. Do not change anything unless you know how it will influence the performance. Some changes may make MySQL slower or unstable. • After making changes in MySQL configuration, restart it and add MySQL to startup. • Now let’s create Magento database if it doesn’t exist yet. • After unpacking the Magento archive set up permissions for all the files and directories. • Now let’s proceed with Magento install. • After the installation process is complete, set up APC and Memcache. • Change APC configuration in /etc/php5/conf.d/apc.ini file. • Restart PHP after you modified APC config. 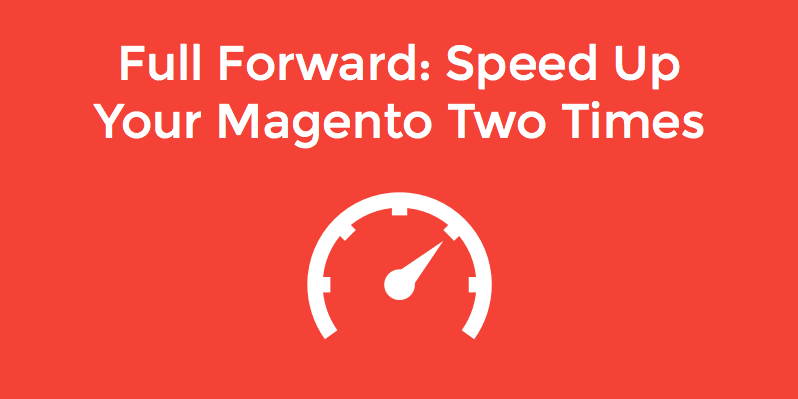 By using fast_backend/slow_backend/slow_backend_store_data you can disable Magento two-level caching. Please note that this step might lead to issues with Magento caching when APC lacks memory or other issues. Be aware of mighty consequences! Now Magento cache is stored in APC, while sessions in the memcache. • Let’s clean up and delete /var/www/magento-site-name/var/cache and /var/www/magento-site-name/var/session folders. Let’s see if all the changes in server configuration enhanced Magento performance. The second test for the configured server was performed on same Magento Community Edition 1.7.0.2 with 10000 simple products by Siege 2.70 with 20 simultaneous users, as we used for LAMP configuration. As a result of all our optimizations page load time decreased approximately two times (4.33 seconds against 7.71 with LAMP configuration). Min and Max page load time dropped to 2.73 and 6.44 seconds respectively against 6.20 and 10.89 seconds with LAMP. These are great results, aren’t they? By introducing a few changes into default server settings we significantly improved Magento performance, minimized load time and gained in user experience. You can download all files for server optimization here.